CLEANER AIRCRAFT MAY NOT BE TOO FAR AWAY. BY MARIA PIA RIBERO | SNinternational. 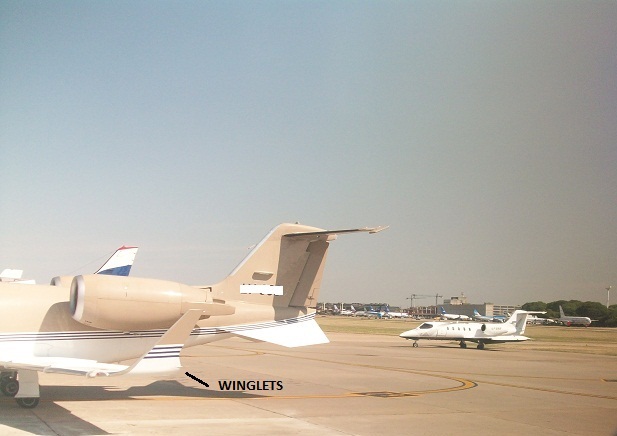 WINGLETS TO REDUCE CO2 EMISSIONS IN AVIATION. The carbon dioxide emissions (CO2), are those generated from fossil fuel burning and cement manufacturing. This includes carbon dioxide produced during the consumption of solids, liquids, gasses and gas flaring. These emissions are very harmful and cause the so-called Greenhouse Effect. Air traffic, besides representing a noisy nuisance to those living near airports, also represents an estimated 3% of CO2 emissions produced by human activities (13.6% of the transport sector, according to the European Union) and a significant generator of clouds. CO2 emissions from aircraft intensify in the takeoff phase, where the turbines are at full power. Under certain conditions you can see the trail that emerges consisting of water vapor, which in the presence of certain levels of temperature and moisture, condensation, can extend into the sky for hours. Clouds have in effect induced heat retention. To get an idea, it is estimated that aviation represents among trails, CO2 and other emissions about 3.5% of the total impact of human activities on atmospheric balance. This is a relevant number, taking into account air activity is increasing. Although the technology is growing rapidly and the ability of flight and fuel consumption in aircraft is becoming more efficient, it is not enough to counteract the dynamic growth of air traffic in our skies. While the EU’s total emissions controlled under the Kyoto Protocol fell by 5.5% between 1990 and 2003, for international aviation, which are not subject to the same, increased by 73%, according to the European Commission. The aerodynamic design of an aircraft plays a very important role, if we need to talk about energy saving. The wings are vital parts and configuration highly contributes to savings in fuel consumption, thereby reducing emissions of CO2. The winglets are surfaces located at the wing tips, in order to improve the performance of the flight, reducing the wing tip vortex and therefore drag. Asa result, we obtain an increase in fuel consumption efficiency, which increases the range and speed. Reduce the fuel consumption in 2 & 5%. Nowadays, winglets are used in medium aircraft as passenger & business ones. Many airlines begin to deploy the wing tip device as a resource for reducing CO2 emissions. Despite mixed reactions unleashed between airlines and countries around the world, compared to tax emissions created by the European Union, is vital to highlight the effort to reduce greenhouse gases emitted by the air traffic. Aviation is not exempt from contributing to climate balance and many companies go further by investing time and money in developing the coveted green fuel to replace the fossil fuels.